If you’re looking for predictable results, Vieux Montreal were the only ones willing to indulge with a swift 49-10 blowout over CNDF in the quarterfinals. CNDF needed to get their offensive attack going early in this one, but the Spartiates defence swarmed limiting them to 160 yards of total offence. Kenneth Djamen Kwindja had a big game with two sacks and 4.5 tackles, while Joey Pare and Vincy Biande snagged a pair of interceptions. 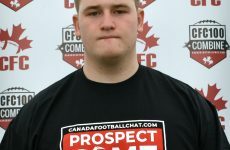 Alexandre Dagobert was their star on offence carrying the load with 17 carries for 158 yards, and Arnaud Desjardins was efficient throwing for 148 yards alongside two majors. The predictability may end here for the the Spartiates, who now turn their attention to a matchup with Garneau – one of the two teams who found a way to defeat them this season. No matter what the conditions are, you’ve gotta show up in the playoffs, and Saint-Jean battled through the wind to defeat Vanier 27-15 in the quarterfinals. The Geants were able to take control of this game early going into halftime with a 15-5 lead, and salted it away on a late touchdown pass from Ettore Casati III to increase their cushion to three scores. It’s definitely not the outcome most expected when this matchup was set, but Saint-Jean beat Vanier in the regular season, and then they pulled it off again. Now they’re facing a similar scenario with Andre-Grasset on tap, who entered the playoffs as the top seed, but also remember their 29-23 overtime loss at the hands of Saint-Jean in week 5. 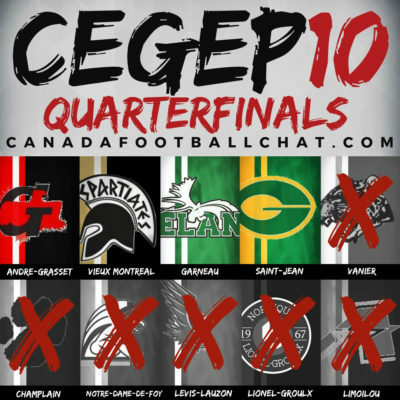 Champlain couldn’t have picked a worse time to lay an egg, and Garneau wasted no time taking advantage prevailing 28-14 to advance to the semis. 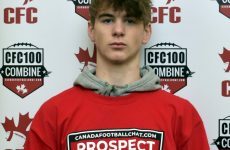 The Elans defence stole the show in this one limiting CFC60 Thomas Bolduc to 14/34 passing for just 135 yards, not to mention the five interceptions they grabbed. 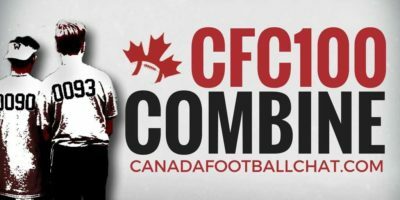 CFC60 Geoffrey Cantin-Arku had himself a day snagging three of the INTs, while Thomas Khuong and Litten Ihirwe got in on the fun with one apiece. No blame can be laid on the Cougars defence who tried to keep it close, but Tristan Blais eventually found his way to the end zone twice along the ground, and also found Gabriel Faucher for a touchdown on one of his eight completions. As mentioned above, Garneau are now getting ready to test their defensive prowess against Vieux Montreal, who they defeated 37-28 in week 5.